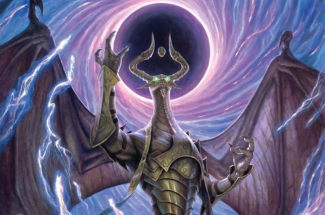 30+ Planeswalkers have already been revealed for the new Magic: The Gathering set War of the Spark, and today, a few more Planeswalkers have been revealed including Ashiok and Nicol Bolas but the latest one is Ixalan's dinosaur-loving Planeswalker, Huatli. -3: You gain life equal to the greatest toughness among creatures you control. This card seems great against fast aggro decks as it can help turn your defense into offense while helping you gain a significant amount of life. The previous Huatli cards didn't see much play in Standard, and I don't think this will see much play as well but it's still a decent uncommon card. Ladies and gentlemen: it's finally time for my preview card!!! It's not a Planeswalker or a Mythic, but if you are in the market for some sacrifice outlet for your favorite Limited strategy let me introduce you: Spark Reapar!!! It's a decent common that could help enable sacrifice strategies in Limited. What do you think about these new cards from War of the Spark? Share your thoughts in the comments section below. War of the Spark will be released on May 3, 2019. 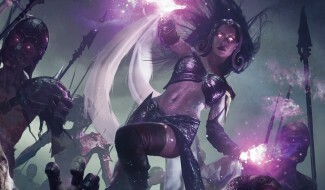 Prerelease events will take place on April 27-28.